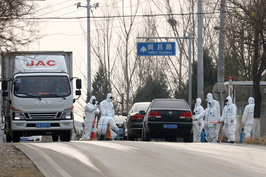 The nationwide spread of African swine fever continues, with 79 pigs on a farm in Northwest China’s Shaanxi province reportedly dying from the disease, the Ministry of Agriculture and Rural Affairs revealed on Dec. 2. 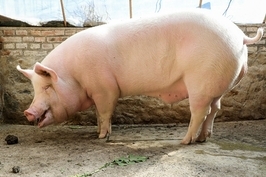 On the same day, a farm in Beijing’s suburban Tongzhou district reported that 17 of its 9,835 pigs had died from the disease and a wild boar farm in the northeast province of Heilongjiang reported 77 of its 375 animals had died. Shaanxi is the 21st provincial-level region to report an outbreak of the fever after the first ever case in the country was reported in Northeast China’s Liaoning province in August. As of Nov. 22, around 600,000 pigs have been culled in an effort to contain the disease, an agriculture ministry official said on Nov. 23. 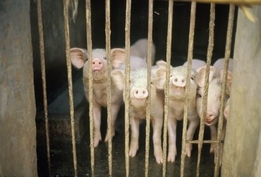 African swine fever is very contagious and frequently fatal for pigs. Although it does not affect humans, it can be transmitted by humans. African swine fever has been reported in 60 countries since it was first observed in 1921. Only 13 have eliminated the disease, after fighting it for as long as 36 years.